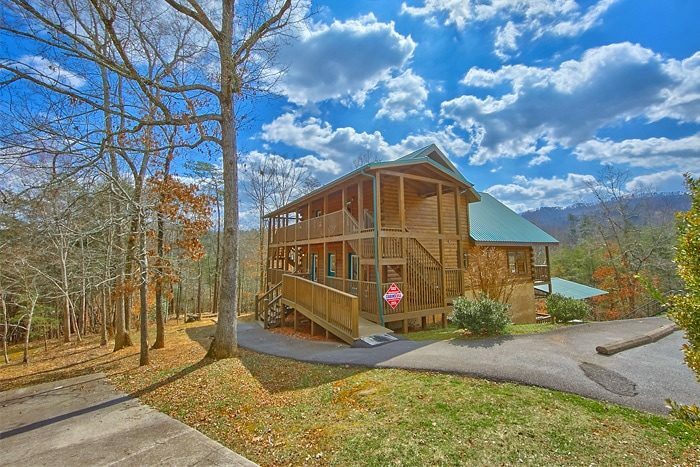 Welcome to "Alexander the Great", a group cabin in the Smoky Mountains close to the Pigeon Forge Parkway. 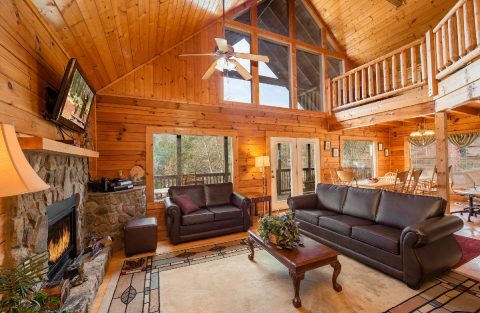 This rental surely lives up to its lofty title with 7 spacious bedrooms and a host of luxury amenities. 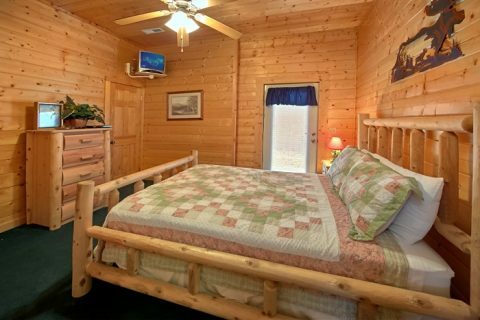 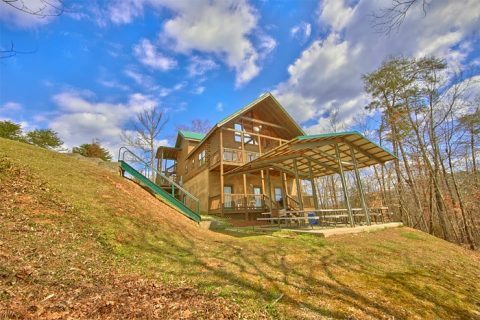 Your large cabin near Pigeon Forge sleeps 22 guests and provides plenty of space for relaxation. 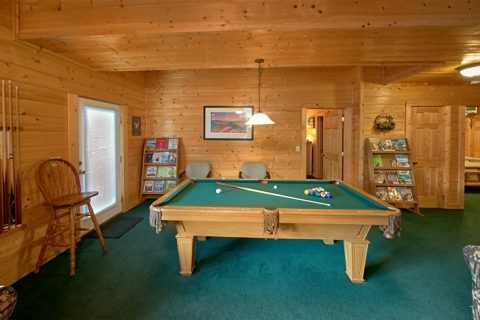 Better yet, this group cabin in the Smokies offers seasonal swimming pool access at a nearby resort pool. 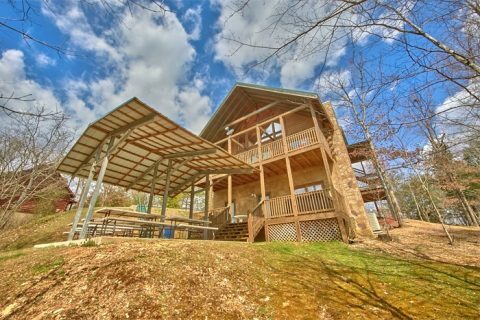 Such a grand rental is perfect for family gatherings, church retreats, and weddings. 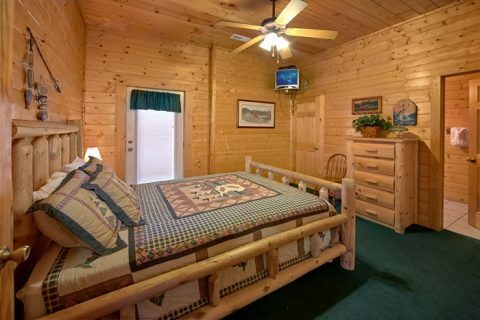 This gorgeous log cabin rests only a short drive away from traffic light #4 in Downtown Pigeon Forge. 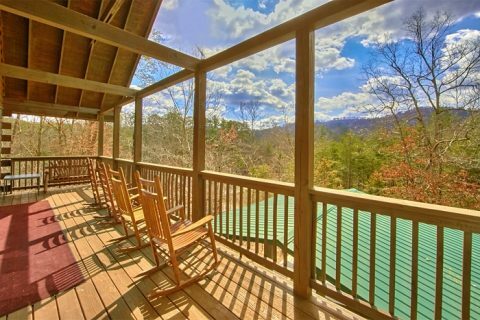 Here, guests will find some of the best attractions, shops, and restaurants in the Smokies. 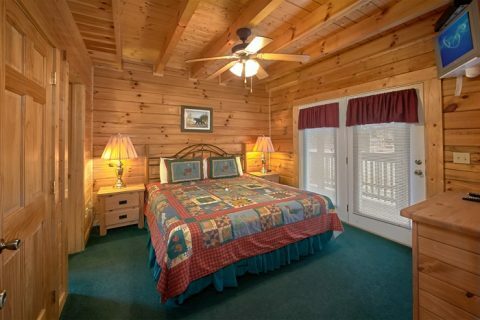 Dollywood Theme Park is also just a short drive across town for groups planning to ride thrilling roller coasters or enjoy water rides at nearby Dollywood Splash Country. For an excellent day trip, your group can easily reach Downtown Gatlinburg or the Great Smoky Mountains National Park. 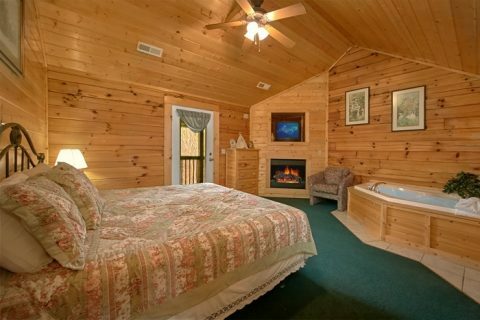 The best things about Smoky Mountain vacations are that there are attractions and activities that suit everyone. 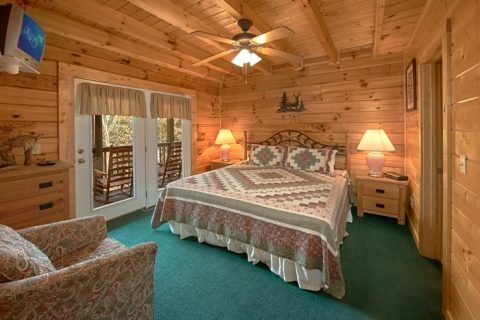 With "Alexander The Great" you can stay in the heart of it all. 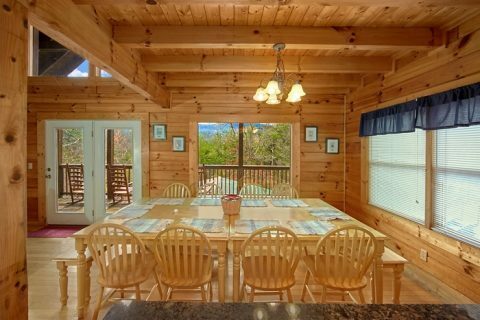 Step into your spacious log cabin's living area and you'll find a welcoming space with wooden interiors and plenty of windows to let in natural light. 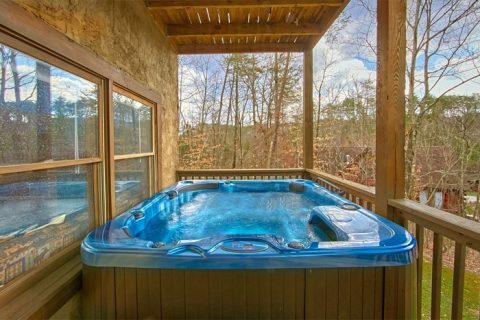 Outside on your spacious deck, you can enjoy quality time with friends and family while soaking in your cabin's hot tub or just sitting in the fresh mountain air. 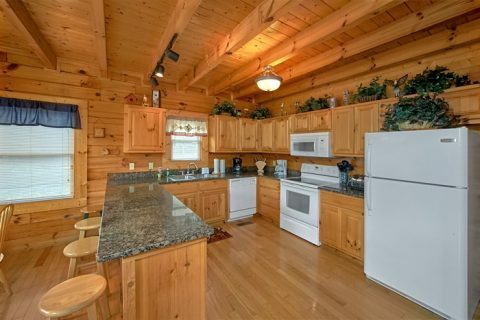 The large kitchen is great for preparing hearty meals for your group as well as a big dining table and breakfast bar for additional seating. 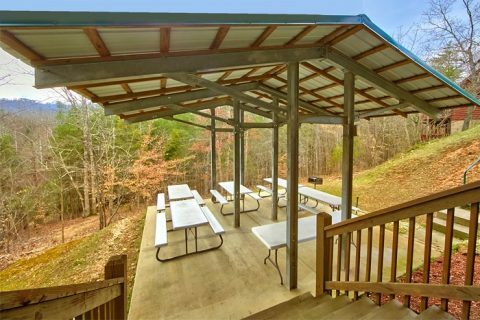 For even more dining space, there is a nearby outdoor covered picnic area with ample room for large groups. 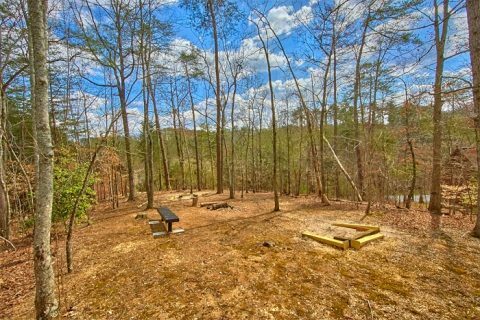 Here, guests will find a playground and horseshoe pit. 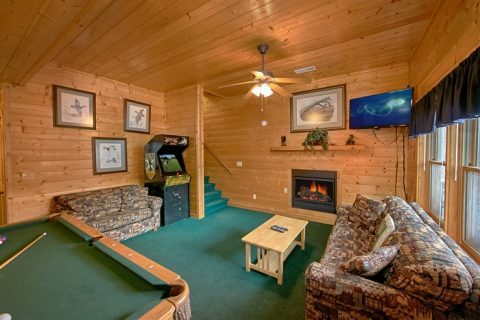 Downstairs, kids will love playing your group cabin's game room that comes complete with a pool table and a standup arcade game. 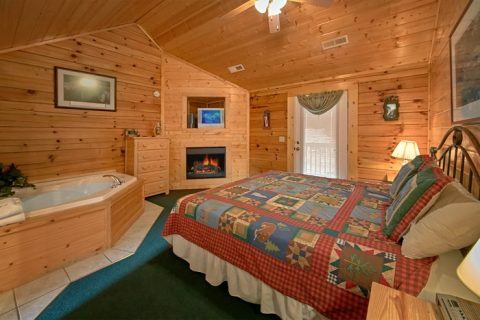 Once it's time to turn in for the night, guests can look forward to retiring to luxurious bedrooms that all feature televisions for relaxing in private. 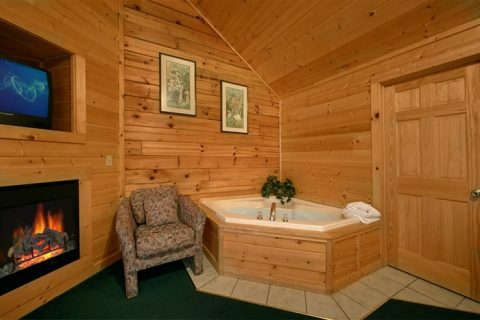 Two of these king-size bedrooms are master suites with in-room jacuzzi tubs for romance and unwinding at the end of the day. 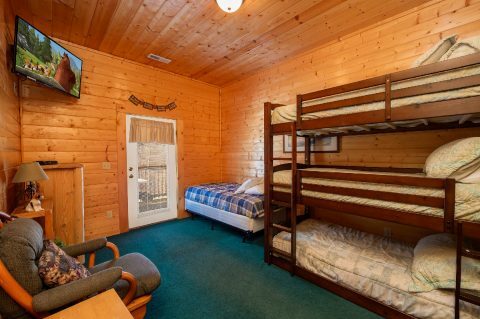 Lastly, there are 2 queen-size bedrooms and one bedroom with 2 twin bunk beds. 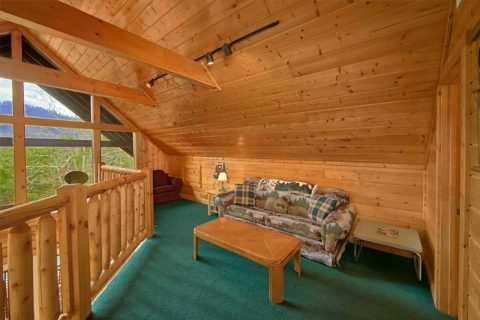 For even more sleeping space, this cabin offers 3 sleeper sofas to sleep more guests. 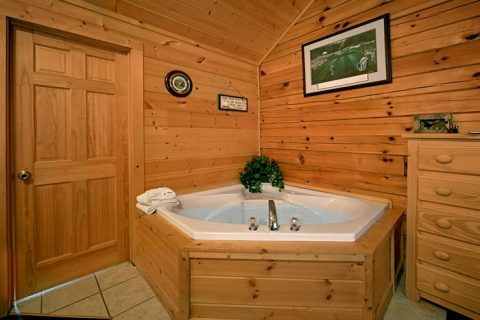 Don't forget to book with Cabins USA Gatlinburg to receive our special cabin discount! 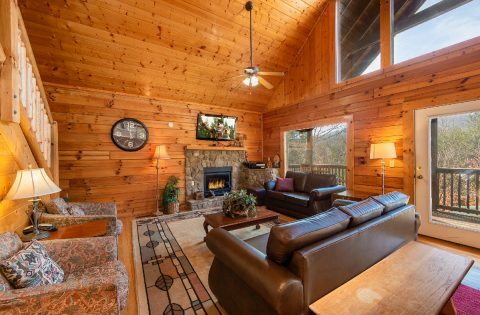 Book your group cabin in the Smoky Mountains with pool access and save 15% on your vacation lodging!